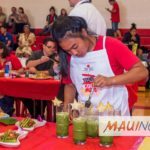 Big Island Chocolate Festival 2017. PC: via Big Island Now. The 7th annual Big Island Chocolate Festival gala will take place on Saturday, April 28, at Hapuna Beach Resort on Hawai‘i island. 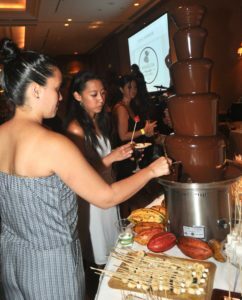 Guests at the event will indulge in both savory and sweet creations prepared by top chefs and chocolatiers, plus unlimited wine and beer pours. The event will also feature a tasty mole and salad bar, chocolate body painting and specialty cocktails by Tattoo Tequila and Southern Glazer’s Wine & Spirits. 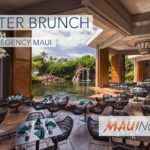 Proceeds from the event will benefit University of Hawai‘i Maui College’s Culinary Arts Program, Hawai‘i Institute of Pacific Agriculture, Waimea Country School, and founding event organizations Kona Pacific Public Charter School and Kona Dance & Performing Arts. A trio of celebrity chefs will present three creative chocolate demonstrations during the day on Saturday, April 28. The chefs are Alicia Boada of Cacao Barry, one of few individuals accredited as an executive pastry chef, culinary administrator and culinary educator by the American Culinary Federation; Stéphane Tréand, MOF of The Pastry School; and Donald Wressell, executive pastry chef of Guittard Chocolate Company. General admission tickets to the gala are $85 presale, $100 at the door. Also available is the Saturday I LOVE Chocolate! all-day pass for three daytime culinary demos and the evening gala priced at $145. Find gala, daytime seminars, and room/event packages here.